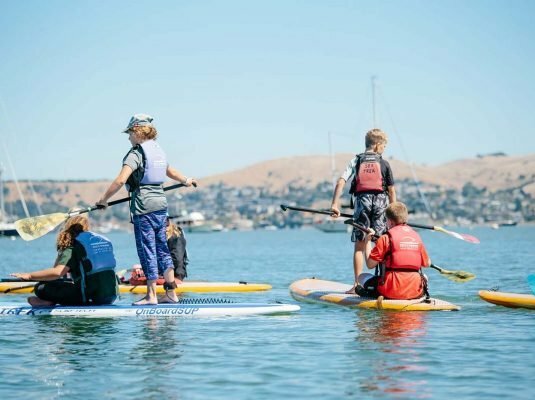 Sea Trek’s kayak day camp in Sausalito gives campers five days to practice kayaking and stand up paddleboarding around San Francisco Bay. With our help, campers will learn new skills every day, including reading the tides, planning trips, and performing kayak rescues. 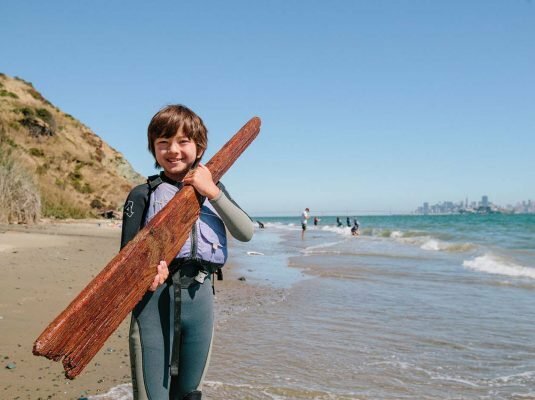 If you know any children interested in outdoor adventure or ocean exploration, Sea Trek’s kayak day camp would be an excellent experience for them! 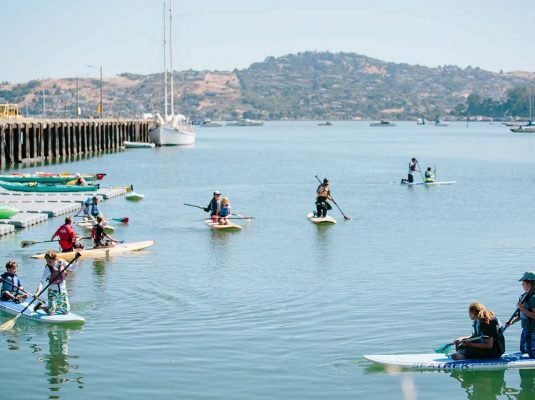 We want to teach kayak and stand up paddleboard skills to our campers, but we also want to show them what makes the Bay such a unique and interesting environment. Campers will have the opportunity to see harbor seals, sea lions, and many other species that frequent the Bay Area’s waterways. By seeing the bay up close, they will have a much greater appreciation for the things that make it such a special environment. We begin at 9am by introducing our staff, and having the kids introduce themselves. After some warm-ups and team-building exercises, we show the campers their kayaks, and give them a lesson on safety. Then we take our first trip into Richardson Bay. While we paddle there, we can observe the kids’ techniques, and help them refine their paddling so they get more power with each stroke. We stop for lunch and then head back in the afternoon, arriving around 4pm. Another day that begins the same way, with warm ups, team-building, and a safety lesson. The daily paddle will be to a different destination—we have a handful of routes with destinations that are good for eating lunch and exploring. As the campers get more familiar with the kayaks, more will want to try using stand up paddleboards at the places we dock for lunch. These can be difficult to get the hang of, but we are happy to teach anyone who wants to learn. Once again, we warm up, do team-building, have a safety lesson, and go over the finer points of paddling. We take a day trip to Strawberry Point, Mill Valley, or some other waterfront destination we have in mind. Today, we’ll be focusing on the greater California Watershed and marine environment. We will be taking a ferry to Fisherman’s Wharf where we will get a private tour of the Aquarium of the Bay. The campers will have an opportunity to handle different marine creatures and to learn about the bay. Some weeks they will venture to the Marine Mammal Center and explore the Marin Headlands with lunch at the beach. In the afternoon the campers will return for some water time on the kayaks and SUPS. 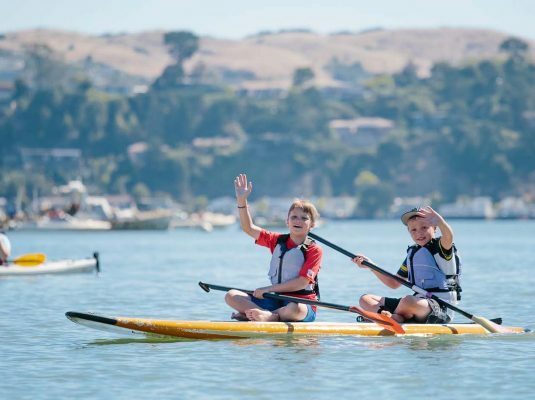 On the final day of the week, the campers will venture on a longer paddle with special views of the Golden Gate Bridge, San Francisco and Angel Island. 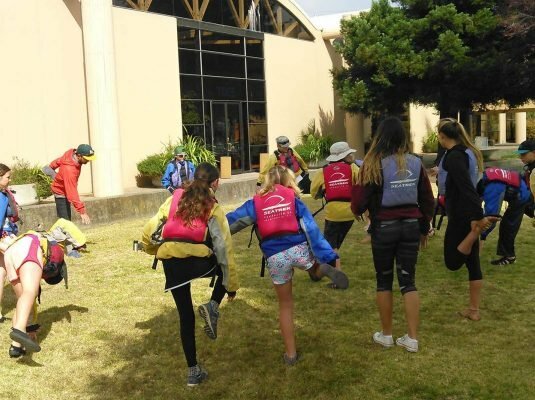 They will apply the skills learned throughout the week as they explore Richardson Bay by kayaks and SUPS. 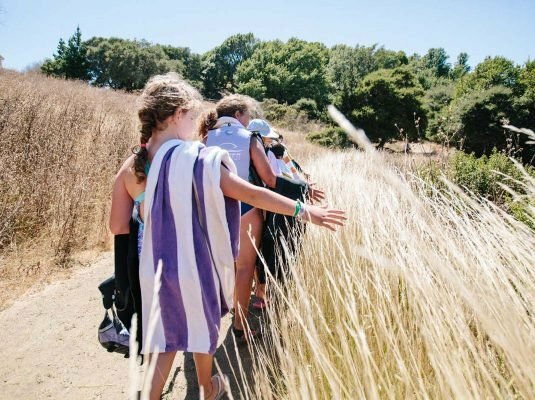 Campers can leave proud of their accomplishments, with a whole new group of friends and a better understanding of the nature in and around the Bay Area. Parents should be there by 4pm to pick their kids up. Summer weather in the Bay can vary from gorgeous sunny days to windy and fog-swept ones. We prepare ourselves for whatever comes our way so that we can enjoy ourselves both on the water and on land. Sea Trek uses sit-on-top singles and two-person kayaks and Stand Up Paddleboards throughout the week. 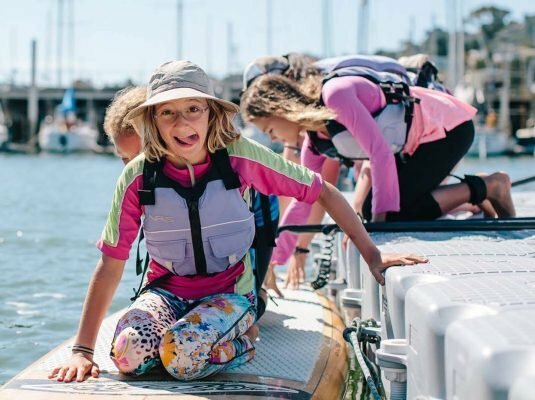 We provide kid sized paddle jackets with neck and wrist closures and wetsuits that are made especially for kayaking and Stand Up Paddling and personal flotation devices (life jackets) that keep us insulated and buoyant while in the water. The following is a list to help ensure that your child is safe, warm and comfortable for the week. Please pack all of your child’s belongings in a day pack or duffel to keep everything together. This way, we may keep everything safe while your child is on the water. Download your packing list below.